Zuckerberg announces changes to Internet.org, responding to net neutrality criticism. 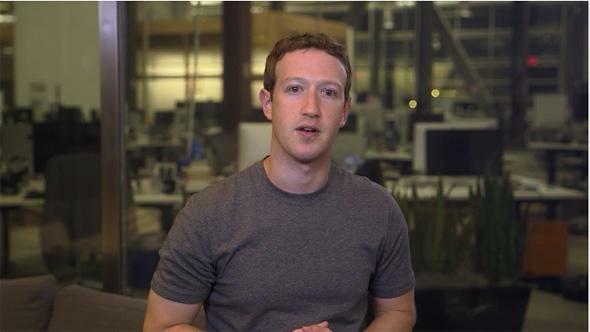 Zuckerberg talking about Internet.org and staring into your soul. Debate over net neutrality has raged in the United States for years, but the controversy isn’t just for developed countries with high connectivity rates. In countries like India, where Facebook has been offering its free Internet.org service to people who otherwise wouldn’t have Web access, net neutrality has come up in a new way. Facebook’s service only offers access to certain websites, so is this a blow to net neutrality? Mark Zuckerberg says no … but not as vehemently as he did last month. Some people have criticized the concept of zero-rating that allows Internet.org to deliver free basic internet services, saying that offering some services for free goes against the spirit of net neutrality. I strongly disagree with this. … Net neutrality is not in conflict with working to get more people connected. These two principles—universal connectivity and net neutrality—can and must coexist. But in the weeks since, Zuck seems to have recognized that it’s not so easy to reconcile free connectivity with net neutrality. On Monday Facebook released a statement about its plans to open Internet.org so any developer who wants to can partner with it to offer free services. Instead of just working with companies Facebook was able to negotiate with, like Wikipedia, companies and developers will be able to step forward and initiate inclusion. The idea is to create a situation in which Facebook isn’t the one directly curating what an Internet.org user can do or see. And in that paternalism lies the crux of the problem. As Zuck admits, “It’s not sustainable to offer the whole Internet for free.” But should that mean that projects like Internet.org cease operation rather than offer a limited free version? By definition, a program like Internet.org compromises net neutrality, but in the developing world, we accept other compromises. Some medical care is better than none at all;any food is better than no food. These may sound like absurd, even inappropriate, comparisons, but Internet access is increasingly debated as a human right. Then again net neutrality advocates say it should be an inherent Internet right. It’s not Zuckerberg’s job to solve this quandary on his own, but he’s apparently trying.